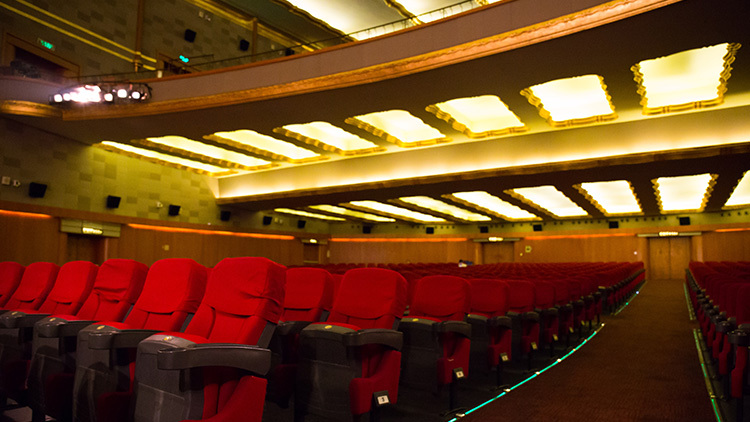 Shanghai is one of the best places in the world to find Art Deco cinemas, and they make a more fun film-going experience than your average multiplex. Time Out pick out the best to watch the blockbuster films of the summer. 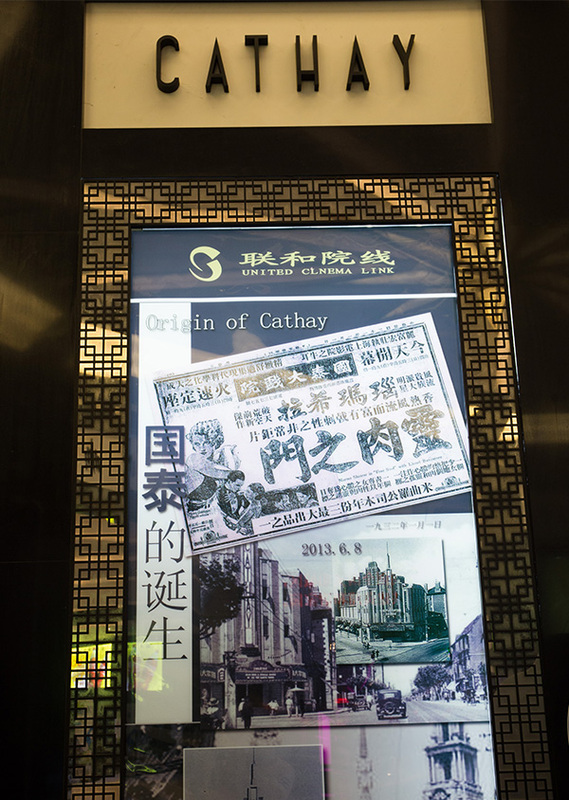 Then – A few famous foreign names are associated with the Cathay. It was designed by Czech architect C.H. Gonda, who also designed the Capitol Theatre as well as The Bund’s Bank of Communications Building. Hotel mogul Victor Sassoon also had a stake in the cinema. It opened on January 1, 1932 with the American film A Free Soul starring Normal Shearer, with tickets costing 1-1.50RMB. 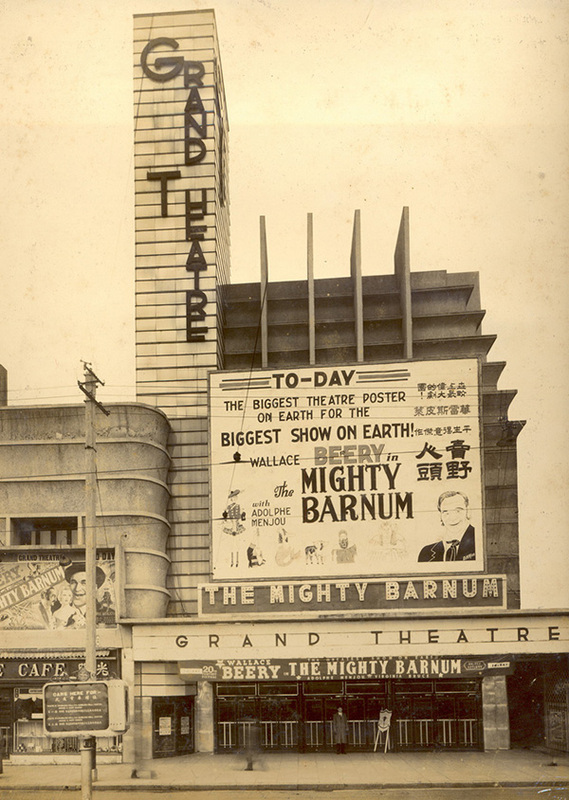 Now – The main auditorium, which once had 1,080 seats, was made into three separate screens in the ’90s – so little remains of the Art Deco splendour of the exterior. 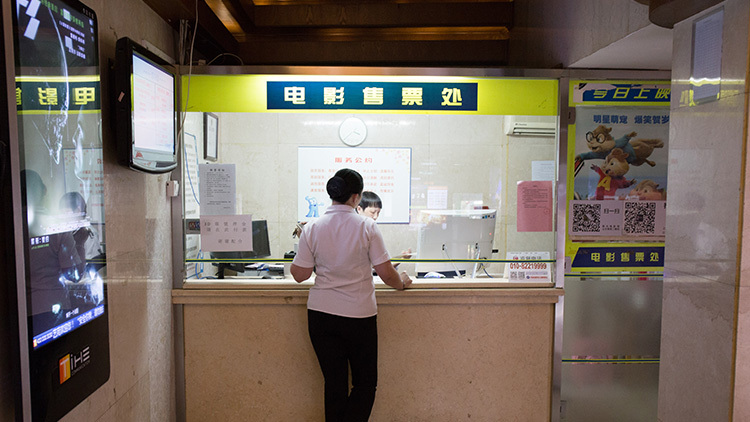 Instead the marble lobby is cluttered with tacky cardboard China Construction Bank adverts and unkempt pot plants. Still, the exterior is stunning, especially at night. 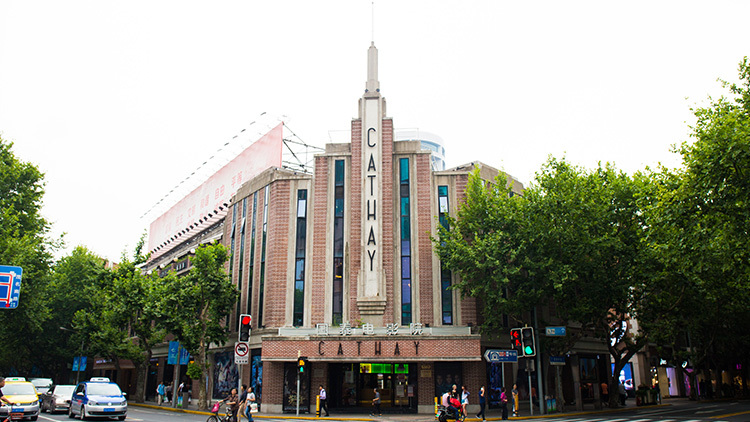 Cathay Cinema is at 870 Huaihai Zhong Lu, near Maoming Nan Lu. 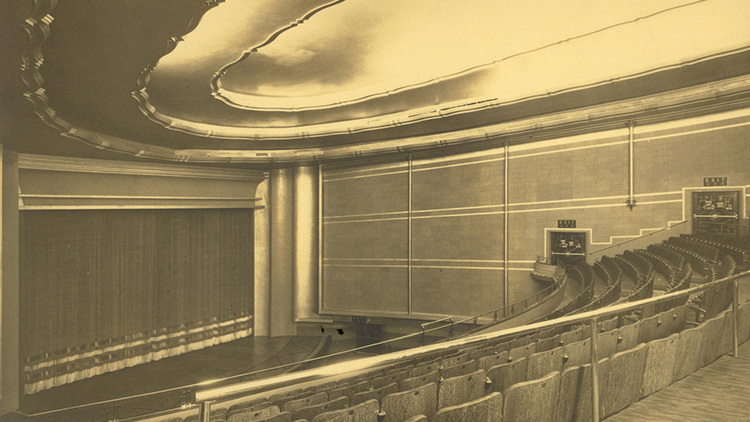 Then – Built in 1932, the Stellar is a cinema of many names. 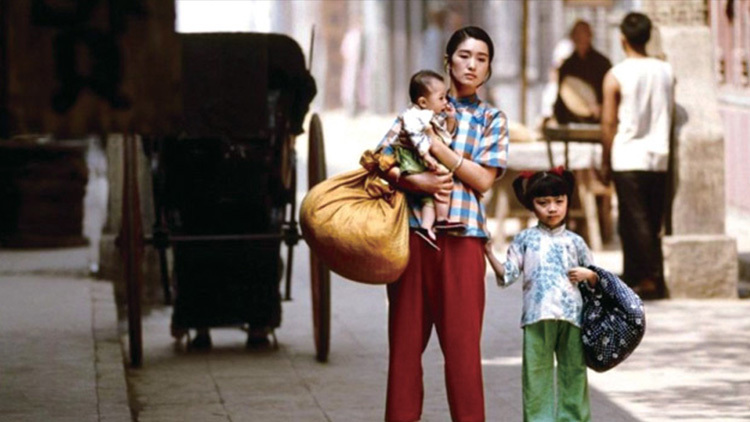 It was known first as the Ever Bright Cinema and was part of the ‘Hongkou Golden Triangle’ of cinemas, when it was a favourite haunt of Lu Xun, one of the major Chinese writers of the twentieth century. In the 1940s, it was so technologically advanced that you could watch 3D films. During the Japanese occupation, the Ever Bright became the Knowledge Theatre, only for it to become the Central Propaganda Film Services Office under the Kuomintang. 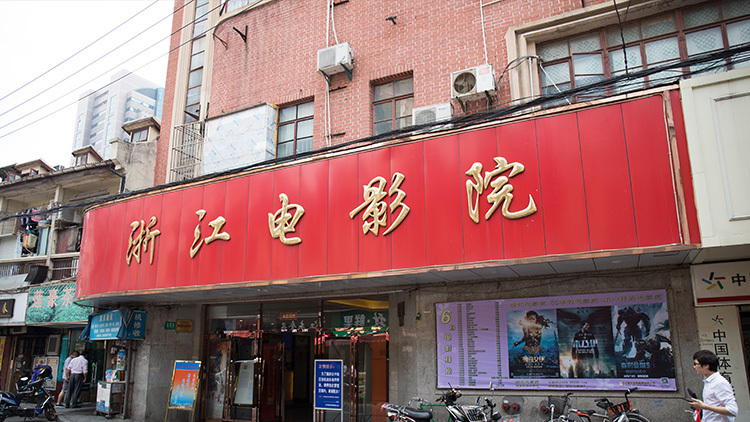 In June 1949, the Shanghai Literature and Art Department renamed it the International Theatre, which it remained until 2009 when it became the Stellar International Cineplex. Now – It’s a charming eight-screen cinema, with a dome-ceiling lobby complete with a crystal chandelier, pretty Art Deco stuccos and wall-size black-and-white photos of the cinema of old. It’s a shame that the lobby area is somewhat tainted by a shop selling cuddly Pleasant Goats, and the Café de Stellar, serving ‘Italian handmade ice-cream’ (15RMB/small) in authentic flavours such as Japanese green tea. 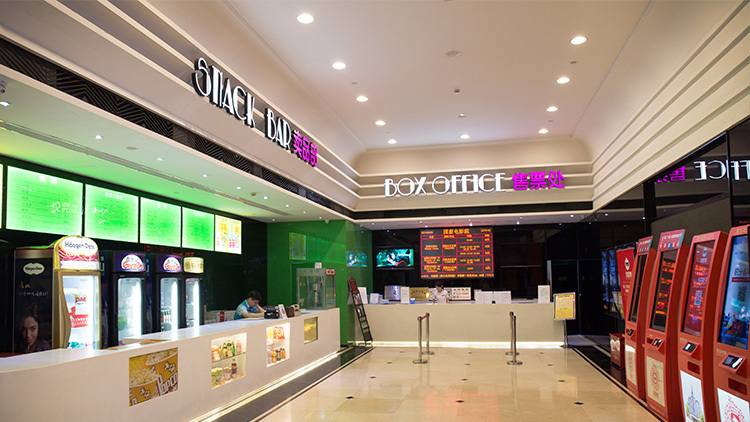 Stellar International Cineplex is at 330 Haining Lu, near Zhapu Lu. 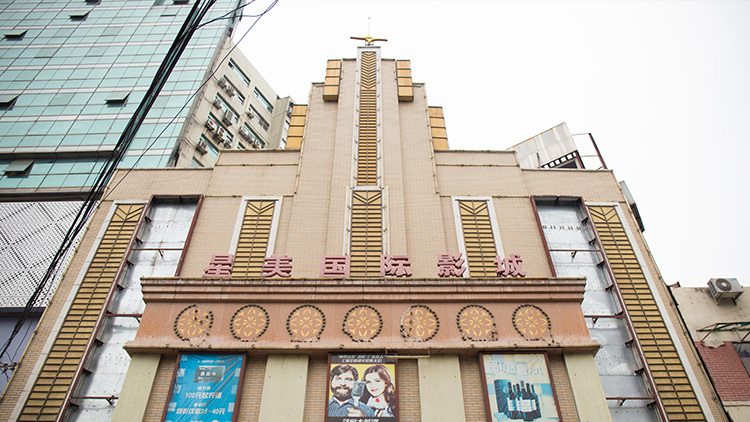 Then – One of Hungarian architect Laszlo Hudec’s lesser-known works, the Zhejiang Cinema – then known as the Chekiang Theatre – was completed in 1930, the same year as Hudec’s strikingly different Moore Memorial Church, just around the corner on People’s Square. For the Chekiang Theatre, Hudec took a more modernist approach – functionality is central to the three-storey structure, which had both a main auditorium and a rooftop terrace housing an open-air theatre. 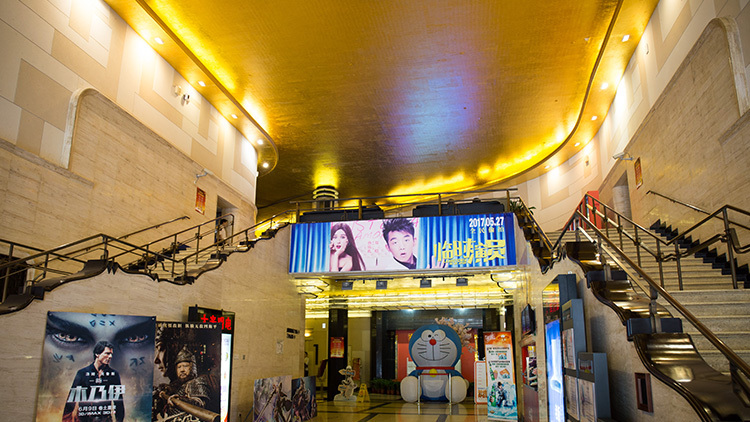 Now – Set on the bustling market street of Zhejiang Lu, it’s easy to walk past this unassuming cinema. The day’s screenings are scrawled on a whiteboard near the ticket booth – two films (which are current releases) shown in alternate slots on the cinema’s only screen. The strip-lit waiting area, with its pleather chairs and tinsel, does little to prepare you for the stunning auditorium beyond, which has red velvet curtains, tiered seating and charming Art Deco decor. The top floor of the building is now a motel. 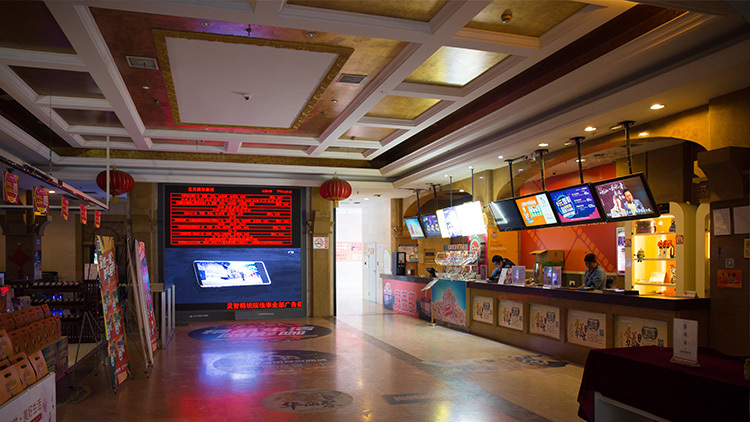 Zhejiang Cinema is at 123 Zhejiang Lu, near Fuzhou Lu. 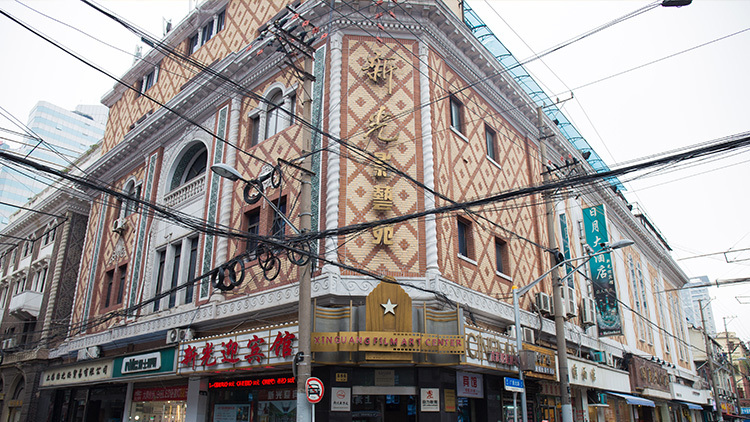 Then – Known to foreigners as ‘the best cinema of the Far East’, the Grand Cinema was frequented by Shanghai’s glitterati in its 1930s heyday. 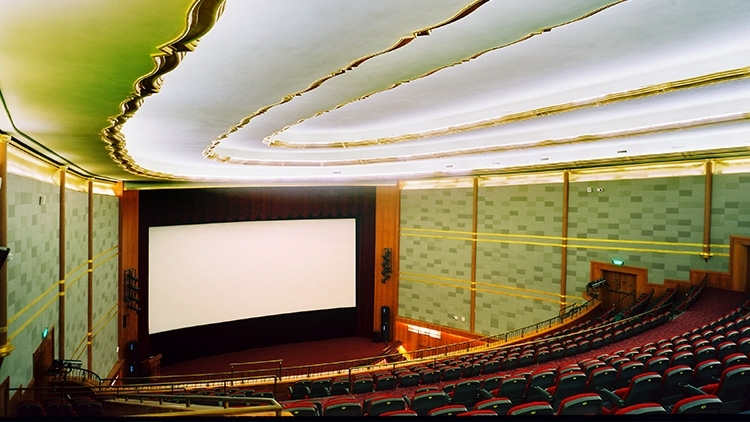 Another Hudec work, it was completed in 1933 and was the height of technological innovation – each seat had a translation system installed so that the Chinese audience could enjoy the foreign-language films through individual earpieces. Now – You'll get the biggest ’20s and ’30s Art Deco fix here; from the wrought iron railings to the up-lit stuccos, lashings of Italian marble and the signature font on the public signs. Though there are six screens, the biggest is Screen One (which you can enter through either ‘odd’ or ‘even’ entrances), split into two tiers of 1,554 seats. 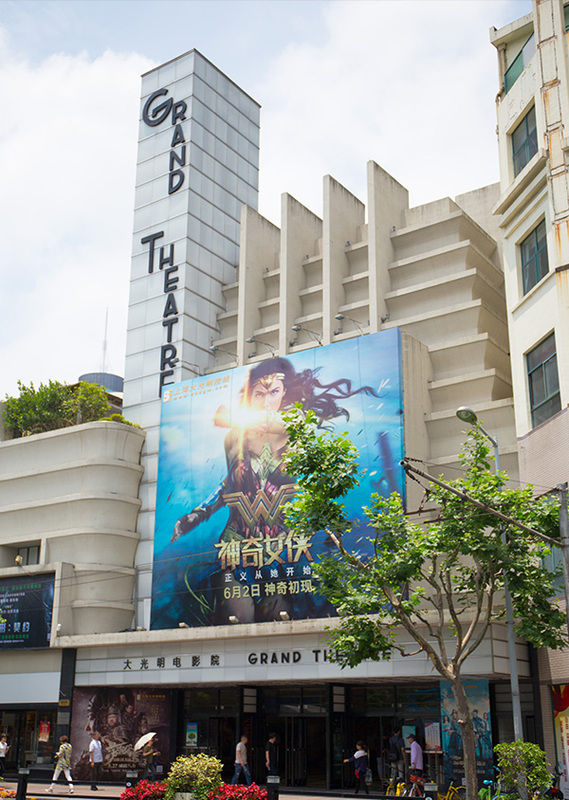 Grand Cinema is at 216 Nanjing Xi Lu, near Xikang Lu. Then – Built in 1930 by a foreign architect (whose identity isn’t known), Xinguang, then known as The Strand, screened Shanghai’s first film with sound, Sing-Song Red Peony, a romance that was produced by local studio Mingxing Film Company, on March 15, 1936, just a week after Charlie Chaplin visited with Peking Opera legend Mei Lanfang. Now – Though it was built in the Art Deco era, Xinguang doesn’t look that way today – a ‘refurbishment’ in 1992 changed the facade completely, though it’s still a striking red brick building. Despite the lobby and waiting area looking like they haven’t changed since 1992 – it’s all tacky film posters and ugly chairs – the single auditorium is both intimate and antiquated, with plush red seats sloping down to a stage swathed in velvet curtains. 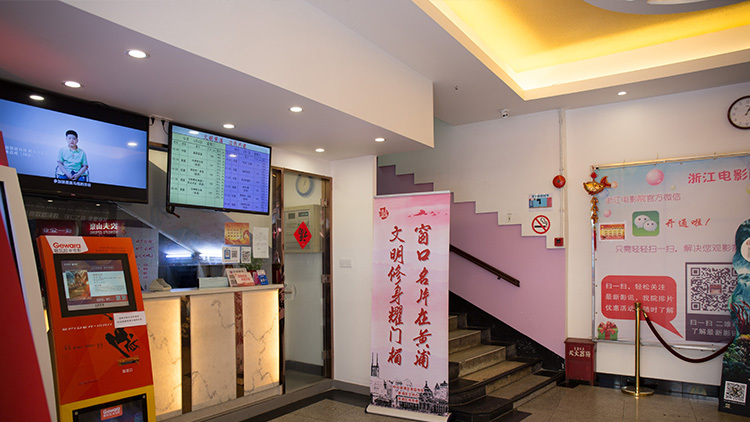 Xinguang Cinema is at 586 Ningbo Lu, near Guangxi Bei Lu.